The number of tigers in the wild has risen the first time in 100 years, marking a major turning point in the big cat’s plight against poaching and habitat loss. 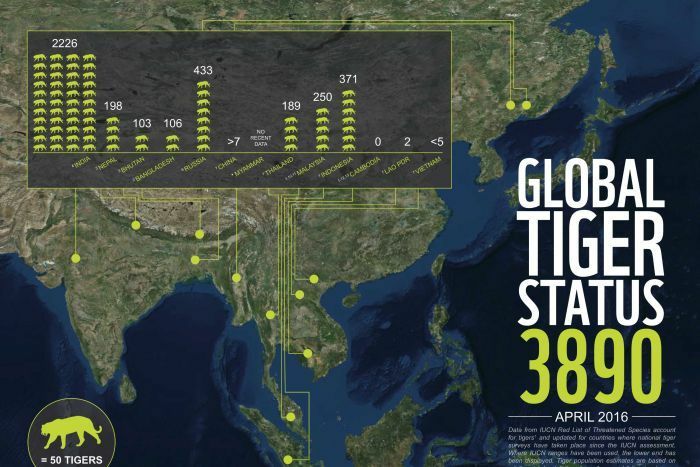 Figures collated from national surveys conducted in tiger range states and from the International Union for Conservation of Nature (IUCN), estimate the number of tigers living in the wild to be at 3,890. Every time you flush your toilet or drain the bath, you’re losing something surprisingly valuable: heat. It takes a lot of energy to warm up the water in the first place, and vast amounts of this energy simply disappear down the drain and is lost in the environment. Around 15-30% of a typical home energy bill goes on heating water. Reusing this “heat” would be a really simple way to make our lives more sustainable. The Middle East and North Africa (MENA) region will save $750 billion if the current renewable energy targets are achieved, according to the International Renewable Energy Agency (IRENA). As storm surges and floodwaters push further into neighborhoods from Miami to Melbourne, scientists have revealed how greenhouse gas pollution became the main cause of sea level rise during the late 20th century. New computer modeling has shown that human influences were responsible for two-thirds of sea level rise from 1970 to 2005. By contrast, natural forces were responsible for about two-thirds of the rise in sea levels detected from 1900 to 1950. UK – The Government’s initial estimates of the financial savings of its recently enforced Energy Savings Opportunity Scheme (ESOS) could be much lower than the actual savings being realised by qualifying organisations, according to a sample of ESOS assessments undertaken by the Carbon Trust. NEW ZEALAND – Fuel efficiency standards would drive the cost of fuel-powered cars up and encourage more drivers into electric vehicles, according to a Waikato University professor. Transport is a rapidly growing contributor to greenhouse gas emissions said Faculty of Law Professor Barry Barton and he’s calling for the government to review policy to make electric vehicles (EV) more attractive. “It’s a real time of transition,” Barton said. “I think there is a general consensus that we should be moving in this way.” Seven EVs were on display at Waikato University on Monday, five of which are on The Leading The Charge road trip from Cape Reinga to Bluff. USA – More than 400 miles of the Klamath River that have been blocked for a century will open up for people and wildlife. In the shady recesses of unassuming forest patches in eastern Brazil, bird species are taking their final bows on the global evolutionary stage, and winking out. These are obscure birds with quaint names: Alagoas Foliage-Gleaner, Pernambuco Pygmy-Owl, Cryptic Treehunter. But their disappearance portends a turning point in a global biodiversity crisis. In the late 1970s in southeast Queensland, a silent killer arrived on Australian shores. The victims were our unique frogs, with the first to fall being the remarkable gastric brooding frog, last seen in 1981. More than three decades on, we know that the killer was a disease called chytridiomycosis, caused by amphibian chytrid fungus… It is possible to manage the threat posed by chytrid fungus, but rapid action is urgently needed. We have identified six critical management actions that are required to prevent further extinctions of Australian frogs and call for an independent management and research fund to address the imminent threat. The first evidence of coral bleaching has emerged on Western Australia’s Kimberley coast… Over the weekend, Kimberley Marine Research Station director James Brown photographed several large, bleached corals at Reddell Beach in Broome. “We’ve seen some signs of coral bleaching on the intertidal corals which have been exposed during the big tides,” he said. “What’s important is that this appears to be quite a significant event. “Do we really care so little about the Earth on which we live that we don’t wish to protect one of its greatest wonders from the consequences of our behaviour?” At the very end of Sir David Attenborough’s three-part documentary on Australia’s Great Barrier Reef, the 89-year-old asks this simple question, in his polite way, not pointing fingers at anyone in particular, just wondering. UK – Whitbread-owned Coffee shop chain Costa is planning to introduce at least four more of its innovative ‘zero-energy’ coffee shops across the UK within the next 12 months, after a pilot store in Shropshire delivered significant energy savings for the hospitality group. NEW ZEALAND – Z Energy pumps more than two billion litres of fuel a year but is now getting into the business of rapidly shifting electrons into cars. Electric vehicle charging company Charge.net.co.nz has installed six $50,000 units at Z stations in Auckland, Wellington and Christchurch. Z sustainability manager Gerri Ward said this was part of a commitment to moving from being a part of the climate change problem to the heart of the solution. “We’re not an oil company, we’re a transport energy company and we’re committed to meeting the needs of our customers, whatever they might be,” she said. UK – We invited you to nominate the individuals who you believe deserve to be recognised for their efforts in sustainability. It’s been a tough choice, but from all your entries we have put together shortlists for leader of the year and unsung hero of the year, and have included some of the reasons given by readers for their nominations. It’s now time to submit your vote for the two awards, both of which will be announced online and in a special in-paper supplement on 27 May. The shortlists are as follows (the voting poll is at the end of the article). In the summer of 2012, I came upon a discovery so mind-blowing that it has taken me nearly four years to get my feet back on solid ground. After two decades of research to find the connection between human nature and Mother Nature, a simple E=mc2-type equation emerged. I call this the Voice Code. Two-thirds of Europeans support a ban on glyphosate, the most-widely used agricultural chemical in the world’s history, according to a new Yougov poll. A prohibition on the herbicide ingredient was backed by three quarters of Italians, 70% of Germans, 60% of French and 56% of Britons, in a survey of more than 7,000 people across the EU’s five biggest states. Up to 150 MEPs in Strasbourg are expected to give urine samples today and tomorrow to see if they contain residues of the ingredient, ahead of a symbolic vote on prohibition this Wednesday. AUSTRALIA – A climate change policy that could be both effective, and potentially supported by both major parties, has been proposed by the Grattan Institute in a new report that tries to find a pragmatic solution to the decade of toxic political debates on the issue. A group of NSW local government councils working to reduce energy bills and emissions in the southern and inner west Sydney region has called for expressions of interest to provide “community energy services” to the market… The group… says the proposed Community Energy Organisation would offer a wide variety of services, including home energy audits, independent advice, product vetting and discounts and a variety of other services. NEW ZEALAND – It’s iwi versus Government in the debate about the new Kermadec ocean sanctuary. We break the issue down, and give you some context. Steel might be the largest industrial carbon dioxide emitter, but Britain’s troubled industry could be a big part of a cleaner, greener future. By using steel to build new infrastructure for renewable energy, the UK could create a virtuous circle of improvement for its industry and growth. Ignore calls to subsidise additional supply in a market where there is already too much steel to go round. Britain instead needs a proactive industrial strategy to stimulate demand for its steel, and one that has sustainability at its heart. The era of sky-high timber buildings is approaching, with researchers from the UK’s Cambridge University delivering a concept plan for an 80-storey, 300-metre-tall timber skyscraper to London mayor Boris Johnson. 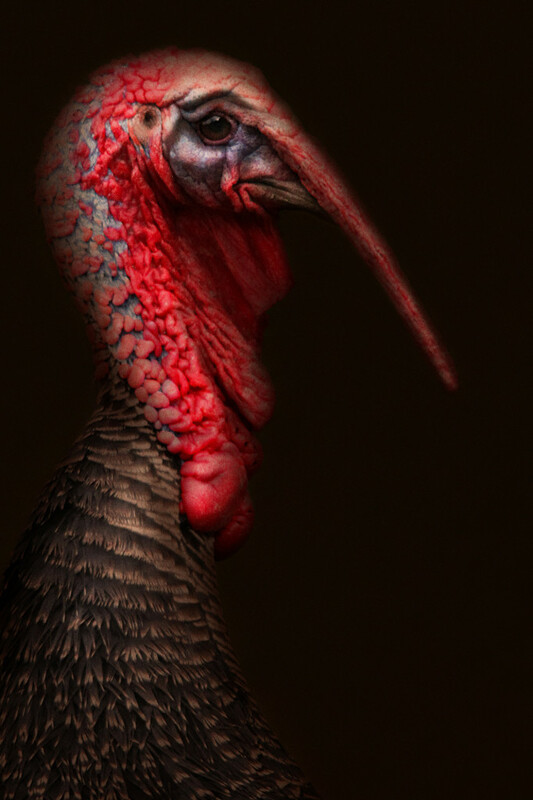 Black Turkey. Painting by Cally Whitham. For a lot of us, “chicken” is a piece of white meat that’s better for you than a piece of red meat. Because really, how often do we see a chicken if it’s not on our plates? But there was a time when we were intimately connected with livestock and fowl, a relationship evident in our most important stories and our popular culture, from Chicken Little to the Biblical parable of the lost sheep to “Old Macdonald Had a Farm.” We come from people who used to be able to tell two sheep apart. NEW ZEALAND – Do you know your colony-laid eggs from your free range? On Checkpoint with John Campbell, Egg Producers Federation CEO Michael Brooks discusses how eggs are produced using various farming methods.